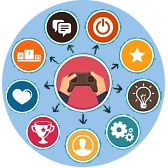 We gamify your reach, create interest among Social Media Community and build a highly impactful engagement level. All we do this, is through research based strategy and application of tools and technologies. We use digital marketing and social techniques with the expertise to gamify a campaign in order to build high engaged community for brands across domains in both B2B and B2C segments. 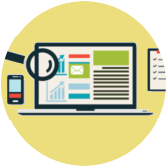 Our expertise in Search Engine Optimisation (SEO) and Search Engine Marketing (SEM) has proved beneficial for many of our clients. With enterprise search engine promotion projects, we can help business and brands to reach at people those are looking for their services. We can help business and brands like Education Institutes, Hotels and B2B companies to run thematic campaign on search engines. Theme based Social Media campaign backed by our community engagement vision, we have been serving businesses and brands in India and abroad. With enterprise social media campaigns, we can build high level customer engaging activities on social domains. Our reputation management technologies and techniques can serve any brand and business, in case it wants their outreach at enterprise level. We give equal importance to SMEs. Our ability in generating business leads comes as an asset to SMEs and individual entrepreneurs. We have a customised package to meet the requirements of SMEs. With regular reporting and insightful strategies, we work with SME sector to help them in business development. 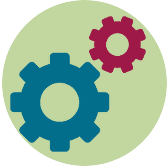 An architect, training organisation or a travel agency – we have a solution to every SMEs. Founded in 2009, PRJankari is a Mumbai based Social Media Company. With a span of 6 years, this social media company has grown through India's social media revolution. Having worked with brands and businesses across B2B and B2C, we have understood on how to create experience for consumers. 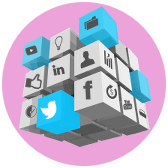 We have built deep domain expertise across channels and platforms on Social Media. We help businesses to grow by using Social Media and power of other digital tools. In Indian language, many of our clients call us as “Web Jankari” instead of “PR Jankari”. We had started our formal journey in 2009 originally as traditional PR Consultants. But we found our strength in Online PR. Hence, we made sure we were experts in SEO, Social Media Marketing and PPC or say an out of the box Social Media campaign driven company. Copyright © PRJankari Digital Marketing Pvt. Ltd.